In recent posts I have contrasted morality with ontological, as well as existential, etc. I’ve had comments here and elsewhere in which people stumbled over the terms. The distinction offered is not a private matter. Orthodox theologians for better than a century have struggled to make these points as being utterly necessary to the life of the Orthodox faith. The following is a small article of mine that tries to do some of the same. In a nutshell: morality is “life according to rules or reasonable philosophies.” The Orthodox contention is that morality fails to describe the true nature of the Christian life. 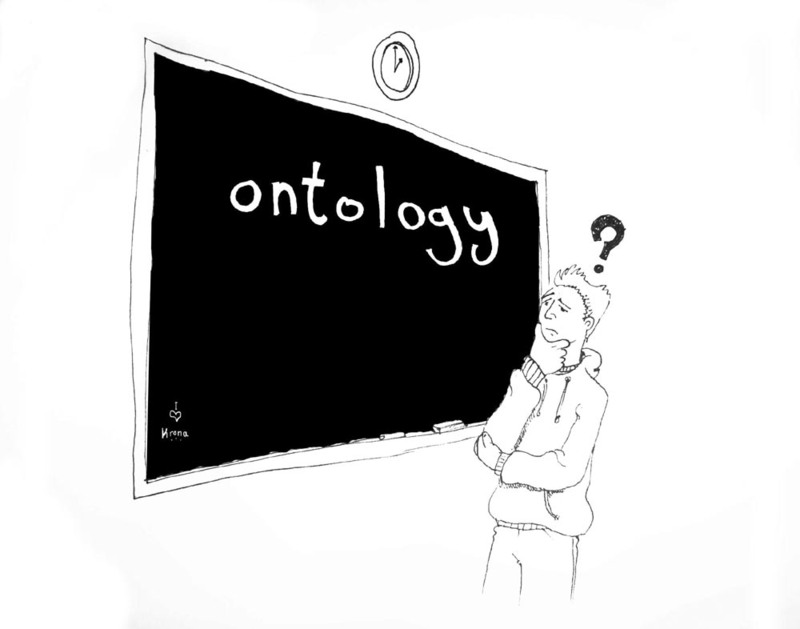 Rather the word ontological is more proper: it means have to do with the very being of someone – their essence. What we need is not a change in behavior (morality) but a change in who we are (ontology). Christ came to change us, not reform us. Just today I had a lengthy discussion with a dear friend about some of the issues you address here, but I didn’t have the right terminology for what I was trying to say. You have nailed it here, and I’ll share your post with her. The moral vs. existential approach to our relationships with God and others is at the heart of it. Like so many things in the Christian life, it’s simple, but certainly not easy. You say “We pray, we fast, we give alms, we confess, we commune, not in order to be better people, but because if we neglect these things we will die.” If that is true (and I lean towards believing it to be true) I am in danger of that death every day. But I have a much greater chance of making good decisions for existential rather than moral reasons. Thanks for this post, Father. Fr. Stephen, thank you for your efforts on stressing ontology. The nature of things is so important to our Faith, yet we like to focus on other things to support ego. When my wife and I converted from a traditional Anglican church to the Orthodox faith, one of the things we discovered was that not only were the answers to our questions far different than we were accustomed, but the questions themselves were different! Thus, your statement, “All of this is another way of saying that questions have a way of determining answers” resonates profoundly with me. Indeed, the questions do have a way of determining answers. Pray for me a sinner. Thank you, Father Stephen. As usual you have wrapped words around what I have heard in my heart. Pingback: The Nature of Things by Fr. 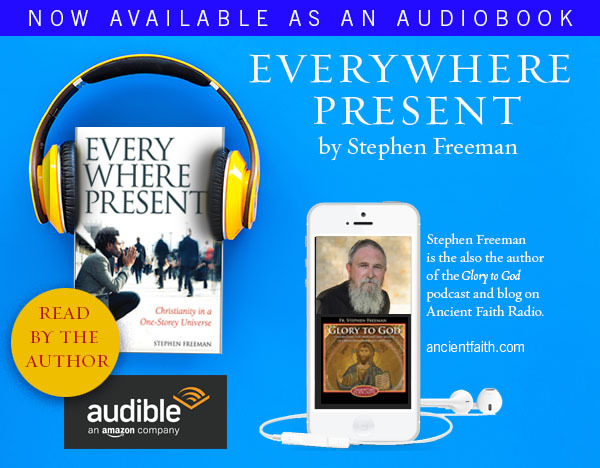 Stephen Freeman « † Pick it up! A very thought provoking article. As a Lutheran in the fundamentalist LCMS, I have tried to explain to people that being a Christian does not mean that I am always “good.” People tend to judge God and Christianity based on how people who say they are Christians behave. It is true that our preferred desire to have Love of God in the heart to be the motive for obedience, but as the great fathers of our Church like St. Anthony the Great and St. John Chrysostom said long ago, it is also a good start to have fear of punishment for doing that which is immoral be a starting point to keep one’s life right WHILE working at getting to the place where finally our life is motivated by Love and not just fear. I think my greatest frustration is that that the Catholic church does not believe many of the things imputed to it such as the “legal problem” and many other things. My problem is that I am not smart enough or a good enough debater to defend this and usually feel overwhelmed when I try. I think such generalizations as (legal or forensic) really describe a mindset rather than certain specifics. Sometimes it’s a mindset in which justice plays a very strong role (it’ll drag one down a forensic highway often). Sometimes it’s generalizing about a Roman Position that no longer dominates in Rome. That, of course, makes the Orthodox nervous, simply because change means it might be something else tomorrow. I would have a hard time saying that Rome is one thing or another, simply because it is many things during a time of increasing change. That same force of modernity attacks Orthodoxy and everything in its path, and no one can be entirely unstained by it. But if you find a way to defend this, mail it in. If God is The One Who Is, in comparison to (and without) Whom no-one and nothing else even really exists; If our inevitable bodily death is (should be) the ticket (our “birth”) into unfaltering communion with Life Himself, Love Himself and Existence Himself; then the seemingly forensic qualities of the above passage, seen in this light, pale into insignificance… What I am struggling to explain so clumsily here is that our “trespasses”(“legal debts”) understood in this light, are simply our ties with death, (our “communion with the nonexistence from which we have been called into existence”). Thank you, Father, for another profound post. This view is something I have been working through over the past year -primarily because of the deformative consequences of the forensic view that still informs the assumptions that shape so much of my perspective. I would note that your book has been a real help. Your point about morality is vital. THE human problem is that sin cuts us off from the Source of Life. What is needed is the restoration of Communion with Life, with God. The problem is much deeper and the solution must be as well. We need some way to reconnect – to re-establish communion – with God so as to participate once again in Life, which belongs to God alone. (More to the point: God is Life. Or more pointedly, Life is God Himself.) Once we see this, we understand that our purpose and calling are realized ONLY in so far as we are united to Him and His Life – and Truth, and Will – flow through us. Even when we recognize this, our egotism recedes only one step. We try to grasp life for ourselves. But Life” is not a “trait” that exists, as it were, “apart” from God. He IS Life – Life IS Him. In this effort (often disguised as religiousness), we repeat the sin of Adam who himself tried to “grasp” equality with God (Phil.2). Sin is pernicious in its effort to usurp the throne of God, to seek to be self-contained, self-willed, to have life as I want it on my terms – but this still only cuts us off from God and thus from ourselves as we were made to be. In short, there is no way to live a self-contained life, no way to live a life that we direct and control. So far as we try, we are like appliances without power, or a conduit cut off from the flow: no matter how “correctly” we try to mimic what we “should” do, or to orient ourselves as needed, we do not function apart from being connected to the proper source. If morality is a potential diversion, asceticism – ironically – is essential. t is the means by which we seek to make ourselves just a wee bit open – open enough – to let Him make a home in us. Asceticism seeks to “starve” the false self. It seeks to cultivate the garden of our hearts so that God’s love might take root in us. It clears the rocky soil that would kill shallow roots and pulls up the weeds of other values and interests that would entangle and choke it. Yet if by loving asceticism that dirt is so cultivated, cleared and cleansed – kept for God alone – then the seed of God’s love may take very deep root in it – deep enough to endure the trials of testing of life. Deep enough to blossom into an overflowing bounty of love, yielding 30, 60 or 100-fold. Then love offer back love to the Love that brought it into being. Asceticism is how we cultivate our lives so we may receive and then blossom into Love. Father, thank you very much for briefly untying this knot of confusion between moral and existential. Most of us, the average people get captivated by the sense of morality and next thing is the beginning of judging other people. The relative sense of morality is now judging another relative sense of morality. The ontological view is a step up on the ladder. A step higher than that, I just recently found in the late writings of St Silouan the Athonite. There is only love of God that is expressed in every phrase. I noticed some similarities with St Nicolai Velimirovic’s writings. They knew each other and shared same perspective of the Kindom. Glory to Him in the highest! Chrys, your posts were fabulous! Thank you for your foresight. I have recently felt much the same way. That is why I left my Baptist heritage. I am not here to disparage that tradition, yet, I do see a lacuna in their rationalistic approach. We are, as humans, incomplete. That is ontology, not morality. You said it better than I could! Praise God. The ontology vs morality argument can help shed light on many contemporary “moral” issues. Take, for example, homosexuality. To the strict moralist, one should avoid homosexual acts because they are bad (or “not good”). This argument immediately falls apart when dissected down (why is homosexuality bad? it seems arbitrary…). In this line of thought, however, people easily get the impression that God loves those who avoid engaging in homosexual acts (the good ones) more than He loves those who engage in homosexuality (the bad ones). But this issue is better addressed in an ontological sense — homosexual acts draw one away from God, and thus lead to death. For those of us who are Orthodox, the sense we get of being *alive* (which we may not feel very often, but which we get glimpses of periodically in our Orthodox life (for me, it is most often when I am engaging in or partaking of a sacrament)) is so vivid that your explanation of alive vs dead is so very clear. I often feel bad for Christians who are unable to experience this, but such is what happens when you dispense with sacramental Christianity. In a culture where it popular to value its particular system of mammon above all else, it is understandable that there also would be those who believe that morality is paramount – even if only subconsciously – in order to sustain it. To explain transformation into the image of God’s glory the commentator was at pains to put it in moral terms; he used the word “moral” about three or four times! Father Stephen, I think this is a case of the “legal or forensic” mindset you mentioned that can eve change how we understand the gospel. I grew up in a world full of this mindset and saw in Paul’s letters to the Galatians and Romans what I thought was the clearest gospel possible –clearer even than the four Gospels!– because it talked about who was predestined to be justified. Now, some years after conversion to Orthodoxy I’ve learned those portions of Paul’s letters were written to Gentile Christians being assaulted by Judaizers telling them they could not justly participate in God’s salvation plan without becoming Jewish first and observing all the former laws including circumcision. But Paul did not preach another gospel about predestined people who are thereby legally and morally justified. Paul instead simply straightened out the Judaizers who had blinders on, like me, and gave hope to Gentile Christians who needed to know that in God’s plan all believers were predestined to participate in salvation by grace through faith in Christ. I dont see your view conflic with what I have learn as a Roman Catholic, be cause of Original Sin, everything in this world is born to die, wether Emperor or Empire, Governer or Governed, and the only thing to save ous from death is Gods Grace, which works in us and changes us, but yes as we change into the image of Christ, so does our morality by obaying Gods Decaloge, and when we talk about Good Works of our salvation, its ways about the works of Charity. Does this depend upon the type of moral approach that is used? Specifically, I’m thinking of the difference between Kantian deontology (which is very concerned with legislation) and Aristotle’s virtue ethics (which is very concerned with the nature of things). Of course, Aristotle was a pagan, and we are Christians, but might he be respected for pointing the ancient world in the right direction (outside of the faith of Israel)? I can’t help but think of the Bible verse, “Faith without works is dead”. “Faith” CHANGES the way we “act” (morality)! Why? Because what I BELIEVE affects what I DO. Jesus said He came to bring a “sword”, not peace. The sword is one symbology of the world of thought and belief. I believe THIS is what Jesus came, in part, to do… to CHANGE our beliefs as we enter into a personal relationship with Him. In changing what I believe my behaviors are changed – not out of compulsion, but out of conviction! When I truly believe something I am strengthened to act upon that belief… not in fear (compulsion), but in LOVE – for “Perfect LOVE casts out fear”. When I truly know the LOVE of Jesus I am empowered and encouraged in my FAITH. And, yes, my behavior DOES change! And, this belief does not come because someone at a pulpit defines what I ought to believe, and ought not to believe. It comes because the Creator gave me a brain, a conscience, accountability, and the capacity with which to use all the aforementioned. This is why I no longer call myself a “Christian” – and it has nothing to do with whether I believe in Jesus or not. It has to do with Christians (the self-proclaimed) and the harmful results of their choices/behaviors on the Creation and the Other, and the very excusing of such choices by the whole of this religious society which I see in articles such as these – as if we “can’t help” our seriously poor behaviors by our very nature! How, if we can’t help it, could there possibly be an accounting (Judgment) at the very end…??? It is not as if I can only make “1” choice, and that is the choice for Jesus, and am incapable of any other. Yes, we have choices on a level, and ALL the commandments are fulfilled in LOVE. What would LOVE do? THIS sums up all “morality” for me! Period. Now… if you want to talk about POWER for living… there, my Friend, lies the problem – to which there IS a solution… and I think I just discussed it in the first paragraph… Jesus came so that we might have LIFE and have it more abundantly (wholesomely). This does not happen by the hand of a “Christian” nation, or the Christian individual, disrespecting and abusing the Creation/Earth as evil and strictly as a means to aquire – nor in the murder of another for all the reasons we may find to justify… It really comes down to the individual – not a group/religion – respecting, in LOVE, the Creator, the Creation, the Other – not in feeling as much as in CHOICE. Here, all the commandments (natural LAW) are fulfilled – in LOVE. I sent this article to a former Catholic seminarian (still Catholic, not a seminarian) and he got the feeling that you were deontologizing morality. As an Orthodox I have certainly heard (from Orthodox speakers) terms like, for example, virtue. The term wasn’t taken out of the context of our union with God, but it seems to me to have a moral connotation (though not forensic). Thoughts? I think they key here is not the word morality but the word ontology… The impeccable morality or behavior or virtue of a saint is nothing but a consequence of the acquisition of the Holy Spirit. 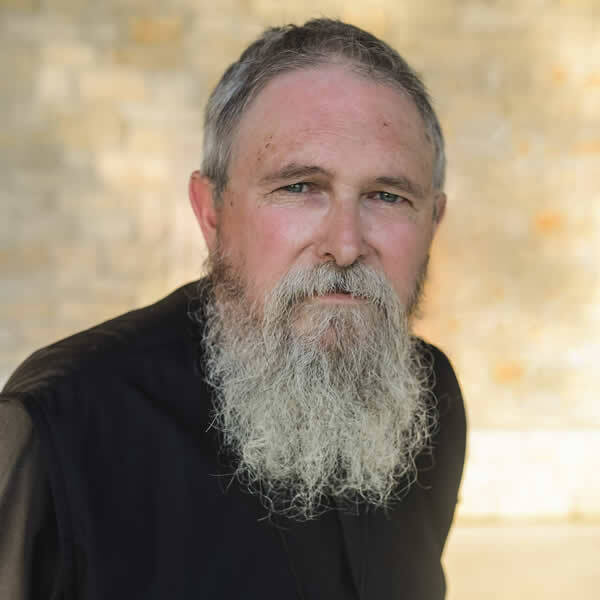 It is He Who can bring about such an ontological transformation that makes you into a “repetition” (pardon the awkward expression) of Christ – a true Saint. Dee, I agree. Morality is a term for obligations that may be manifestly legitimate, but the meeting of moral obligations does not save nor does it indicate salvation or even virtue. People can observe moral laws to the degree we’re able and motivated. Virtue is a better word when used to mean fruits of the Holy Spirit who makes us, as images of God, into a likeness of God. The problem with morality and ethics for a Christian is that there simply are no acts which are right or wrong in themselves; everything a Christian may do has a primary reference only to Christ. The demand is obedience to Him in every moment for everything we do and say. Deontological ethics, natural laws, teleological or consequential behavior theories, and so on, make sense only if Christ is absent from consideration. I’m not too sure about what you just said but I am pretty sure that I’m morally obligated not to steal your car! In reading this thread it makes me wish that Tolstoy, Gandhi, Jefferson had Boris Bruton around to explain it to them. I once heard a church of Christ preacher explain where Aquinas went wrong on some matter of doctrine. It was truly a blessing for me to have been in that audience! The notion of “moral obligation”, useful for the correct function of society, has little to do with the understanding that we need to ontologically become what God made us to be: Sons and Daughters of His – like Christ, in his capacity as the Son of Man, has demonstrated. How could he have sinned ONLY against God? To the perfect degree that Christ became sin for all mankind He became the only location of accountability for sin including its causes and consequences. When we offend we offend Him and only Him. This is not a cute play on words, it is an absolute reality that is vital to understand if we are to be saved members of His body. We cannot sin apart from Him and we cannot be saved apart from Him. Only Christ has fathomed the depths of human sin. We should never permit ourselves another standard because our only hope is His grace and mercy to exchange our sinful short life for adoption into His own relationship with His own Abba – to be sons and daughters of God in Christ. Leonard, I think your confusion of the meaning of Michael and Dee’s statements (or parts of their statements) is understandable. Hopefully, their further clarifications have helped. If I can restate it, the issue is not that there is not clear right and wrong, but that to reduce “right and wrong” to the level of objective “stand-alone” rules, and then define our spiritual problem as that we do not keep the rules, misses the depth of what it means to be “right” or “wrong,” which may only be seen in its fullness in reference to Christ Himself. From her comment above, Lysa seems to have taken that same kind of misreading–in this case of Fr. Stephen’s original post (and even of Scripture itself)–to a whole new level! One hell I know about is just trying to reconcile broken relationships and redeem lost opportunities without Christ. Without Christ we can’t know all the brokenness we’ve caused others or what our lost opportunities have cost us and those we love. We must know and repent yet without Him we can’t bear knowing. This causes tears. Meeting all persons in Christ is so important because our only hope of repentance and forgiveness is to huddle in His embrace where Love covers all our sins. Karen I think you are right. To reduce “right and wrong” to the level of objective “stand-alone” rules is clearly wrong! This helps explain something that I have been confused by at times – that the more “religious,” at least according to others, the less concerned I am with the categories of “right, wrong,” “good, bad” that I was once deeply preoccupied with. Certainly I hope to do and love good, but moving toward thinking about things in terms of overall spiritual (and bodily) health has been tremendously more helpful. When I write on this in detail, I try to use the language that St. Athanasius first used. He never really speaks of “nothingness” (other than the “nothing” out of which we came). He will write of a movement towards non-being or nothingness, but not complete nothingness. Being and existence are God’s gift to us and he does not take them away – we simply set ourselves on a trajectory that moves us further away from true existence. “This is condemnation. That Light came into the world and men preferred darkness to the Light” (Jn. 3:19). May St. Silouan who’s feast we celebrate today and who knew all this to it’s outmost deapths help us! Your post resonated with me. To my mind Christianity is like sexuality, not a code or an external philosophy that I adhere to or try and live by, it is a part of me. I fear I have been ‘flirting’ with Orthodoxy for many years but unable/unwilling to take my interest further. Your post has moved me to think that even I might recognise what it may mean to live in the kingdom of God. Please pray for me. I would say Father, that Eastern Orthodoxy is the means by which monasticism, holy monasticism even, is allowed to enter into the world. O God! You are good (καλός’ not αγαθού)! Thank you again for your sharing.